Quitting Cold Turkey: Is It Dangerous? How Hard Is It to Quit Concerta? Because Concerta is a prescription medication, people who initially began taking it as such may have difficulty realizing that their use has progressed to an addiction. Those who want to quit may find it difficult to stop using without professional help. Improved personal relationships. Drug abuse can put a strain on interpersonal relationships. Addiction may lead to lies, mistrust, disapproval, guilt and blame. Quitting Concerta can help you repair any relationships damaged by your addiction. Better financial situation. Whether you’re buying Concerta on the street or paying insurance premiums and co-pays, you’re likely spending a significant amount of money to fund your addiction. Consider putting the money that would be spent on Concerta into a savings account and use it for something that truly improves your life, such as an educational course or a vacation. Increased self-esteem and confidence. Many people addicted to Concerta experience self-esteem issues when they lose control of their lives due to drug use. Quitting can help people regain their self-confidence and self-respect. Quitting Concerta alone is challenging. The withdrawal symptoms and cravings can be intense and severe, and they often lead people to relapse. Seeking professional treatment for Concerta addiction can improve your chances of recovery. The Food and Drug Administration (FDA) has not approved any medications for treating Concerta addiction. But several behavioral therapies are available. 5 A good treatment program will help you address your addiction on a physical, mental and sometimes even a spiritual level. You will typically receive medically assisted detox to help you through the withdrawal period, as well as counseling and support to help you manage cravings and address the psychological aspects of your addiction. Because many people who abuse Concerta are college students seeking to improve their grades, treatment may consist of learning skills to complete homework and study for tests without the use of the drug. Inpatient treatment: Inpatient treatment takes place in a residential therapeutic community for as little as 28 days or as long as several months. Inpatient rehab centers provide a high level of around-the-clock care. People stay in the facility 24/7 so that they can focus exclusively on recovery. This supportive and structured environment is best for those with severe, recurring addictions, as well as co-occurring mental health disorders. Treatment typically consists of medically supervised detox, therapy, counseling and support groups. Outpatient treatment: Outpatient treatment programs are usually best for those seeking a more affordable treatment option as well as those who wish to maintain school or work responsibilities. Outpatient treatment often consists of 10 to 20 hours per week of therapy, counseling and support groups. Partial hospitalization is also available for those who do not need full inpatient treatment, but who may need more intensive care for a period of time. 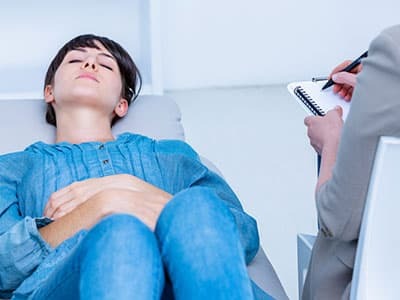 Individual counseling and therapy: Counseling is an important aspect of the treatment process because it helps users address the psychological component of their Concerta addiction. Cognitive behavioral therapy (CBT) frequently is used to help recovering users change their responses to triggers that motivate use. 12-step programs: Twelve-step programs and support groups provide users with support from others who are battling similar addictions. Many people find a sense of purpose and comfort in the 12-step process. One of the most popular groups for people battling Concerta addiction is Pills Anonymous, a support group for people recovering from an addiction to prescription drugs. Dual diagnosis: Many people recovering from Concerta addiction suffer from other mental health disorders, such as ADHD, depression or anxiety. These users should consider a dual diagnosis treatment program to address any co-occurring mental health issues as well as Concerta addiction. Holistic and alternative treatment programs: Treatment centers and therapy professionals may offer several different holistic and alternative treatments. Some treatments that help with recovery include yoga, meditation, massage, acupuncture, nutrition assistance, pet therapy, art therapy and biofeedback. Aftercare is crucial to the recovery process and helps users maintain sobriety and avoid relapse. Drug addiction changes brain and central nervous system function, so former drug users can encounter triggers that cause cravings even after months of sobriety. Aftercare can help those leaving treatment cope with triggers and build on the coping skills they learned in treatment. Sober living communities:Sober living homes[/link], or halfway houses, are safe, supportive, drug-free residential communities that include other recovering users who can empathize with the challenges of maintaining sobriety. 12-step programs:Twelve-step programs are support groups that use a step-by-step process to help people maintain long-term sobriety. Those who participate in the program are encouraged to work with a sponsor. Counseling and therapy: Ongoing counseling or therapy can help users deal with life stressors, hone new coping skills, renew motivation, regulate emotions and discuss any challenges. Job placement: Many aftercare programs, including halfway houses, help those in recovery find and maintain employment. Anger management courses: Anger management classes help people manage anger and other difficult emotions, which can reduce the risk of relapse. Support from recovering users and alumni: An aftercare program can set you up with a recovery coach who can help support your ongoing recovery. Alumni may also come speak at support groups and give lectures on maintaining sobriety. Social and recreational activities: Leisure activities such as sports, games, art, dance and music are often recommended to help those in recovery find new hobbies and passions that don’t involve drugs. Need Help With Concerta Withdrawal? Concerta withdrawal is often referred to as the “crash.” The crash comes with withdrawal symptoms and health risks, so quitting without medical supervision from a doctor can be risky. Withdrawal symptoms may vary depending on the severity of addiction and length of use. Long-term use of Concerta and taking higher doses often result in more severe and longer-lasting withdrawal symptoms. Medically assisted detox is recommended for Concerta withdrawal because some of the symptoms can be severe. A qualified psychiatrist or addiction specialist can help the user taper off Concerta slowly to minimize withdrawal symptoms and prevent possible relapse. Seek professional help. Quitting Concerta can be very difficult to do alone. Get help from an addiction treatment professional or at a rehab facility, especially in the early stages of withdrawal (if not before). Use your support system. Seek the help of family and friends who do not use drugs and support your effort to get clean and sober. Practice time management. Those who abuse Concerta often have trouble completing tasks and staying focused without the drug. Having good time management skills can help considerably when learning how to function without the drug. Avoid triggers. Avoiding triggers can help maintain sobriety. For example, if you have certain friends you used Concerta with, distance yourself from them and find a sober social network instead. Have a plan to cope with unavoidable triggers. Some triggers, such as homework assignments, work duties and life stressors can’t be avoided. Come up with a plan to cope with these triggers in a healthy way. If you aren’t sure how to do this alone, a counselor, therapist or rehabilitation specialist can help you. Stay healthy. Exercising can release endorphins and improve your overall mental and physical health. The healthier you are, the better equipped you’ll be to manage life’s inevitable stressors. Find a hobby. Engaging in a hobby outside of drug use can help ignite your passion and keep you busy, which will make you less likely to want to use. Do more than just quit. Simply stopping your use of Concerta may not be enough to help you recover. It’s important to address the reasons you started using in the first place. Self-reflection, counseling and therapy can help you do this. It can be very difficult to get someone abusing Concerta to accept that they need help. Here are a few tips to help a loved one acknowledge his or her problem and enter a treatment program. Be compassionate, gentle, loving, kind and supportive. Educate yourself on Concerta addiction. The more you know, the more you can help. Express your concerns about the addictive behavior. Point to specific examples of how the person’s actions have affected you or others. Approach the user one-on-one before staging a group intervention. The person will likely be more receptive and less intimidated in a one-on-one conversation. Recommend that the person taper off Concerta slowly rather than quitting cold turkey. Seek the help of a professional to schedule an intervention if the person refuses treatment. Stay involved and support recovery as an ongoing process. Don’t approach the person with judgment, guilt, shame, blame, anger or threats. Don’t lecture, preach, moralize or bribe them. Don’t make excuses or take responsibility for the person’s behavior. Tapering leads to less intense withdrawal. While it may take longer to quit, tapering off Concerta slowly is usually recommended over quitting cold turkey because the withdrawal symptoms will be less severe and more manageable. Cravings can be strong and can lead to relapse. Quitting suddenly can result in intense cravings that increase the chance of relapse. Quitting cold turkey has an increased risk of depression and suicide. People have reported depression and suicidal thoughts during Concerta withdrawal. Detoxing without medical supervision can increase the risk of suicide or lead to a more unpleasant experience. Medically supervised detox at a recovery center is the safest way to quit. Quitting Concerta is challenging. Not only are withdrawal symptoms and cravings difficult to deal with, but people who are trying to quit often find it difficult to engage in certain tasks, such as homework and test-taking, without the drug. To effectively quit Concerta, it is best to seek a treatment program that addresses the mental, behavioral and physiological aspects of addiction. Quitting Concerta isn’t easy, but you don’t have to do it alone. Rehab facilities can help you regain control of your life. For assistance finding a treatment program that’s right for you, contact a treatment support advisor today by calling 1-888-319-2606 Who Answers? .
. McNeil Pediatrics. (May 2007). Concerta (Methylphenidate hydrochloride) tablet, extended release.
. Morton, W. & Stockton, G. (October 2000). Methylphenidate Abuse and Psychiatric Side Effects. The Primary Care Companion to the Journal of Clinical Psychiatry 2(5): 159-164.
. Food and Drug Administration (FDA). CONCERTA: Medication Guide.
. Massachusetts Health and Human Services. Substance Abuse Service Descriptions.
. National Institute on Drug Abuse. (January 2016). DrugFacts: Treatment Approaches for Drug Addiction.
. National Institute on Drug Abuse. (December 2012). Principles of Drug Addiction Treatment: A Research Based Guide. Behavioral Therapies.
. National Council on Alcoholism and Drug Dependence Inc. (July 25, 2015). Helping a Family Member or Friend.